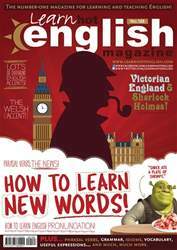 Digital Subscriptions > Learn Hot English > 188 > 6 TOP TIPS FOR LEARNING DIFFICULT WORDS! Words are really important when you’re learning a language. You need them to speak, write and understand things. And the more words you know, the easier it is for you. Even if your grammar is perfect, if you don’t know many words, you’ll find it hard to speak fluently. But not all words are the same. Some are easy to understand because they’re similar in your language or they remind you of something you already know. For example, “education” is a cognate in many languages (“educación” in Spanish, and “education” in French). But other words aren’t so easy. 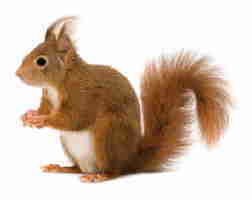 Take the example of “squirrel” – a small animal with a long furry tail. The word is probably like nothing you’ve seen in your own language. So, what can you do to help you remember it and other equally difficult words? Here are 6 top tips for learning difficult words.